Whether you’re adhering to a strict keto diet or simply watching your weight, low carb beers are a must if you’re a beer drinker. Fortunately, there are lots of great tasting low carb beers on the market these days. What’s really interesting about the beer belly is that for decades many people didn’t really understand why beer did this. It was assumed that the calorie content of beer was the culprit. But as it turns out, beer belly should probably be just called carbohydrate belly instead, because that’s what it is. Excess carbohydrates in the form of starches and sugars upset the insulin balance in the body causing the body to store fat. The reality is all these extra carbs can bring on a host of problems much more serious than a beer belly. Diabetes and high blood pressure directly correlate with a high carbohydrate intake. As consumers have become more educated about the dangers of a high carb diet, they’ve been looking for low carb varieties of their favorite foods & beverages. This awareness has caused a surge in the market for low carb beers. 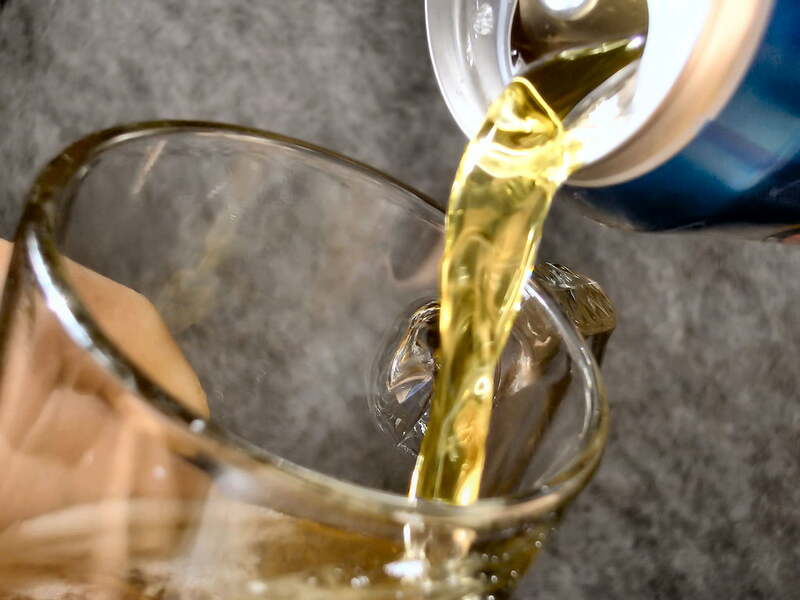 And as expected, the beer market has responded to the desire for low carb beverage options by making available a number of low carb beer choices. Let’s talk about the best low carb beers! Each of the beers on this list, in addition to being low carb are less than 100 calories. It’s important to keep in mind though, if you’re drinking 10 of them a night, you’re still killing your health and building a beer belly. The other downside to these low carb choices is that you won’t have many options if you like really hoppy IPAs. By nature, those heavy beers are always have a high carbohydrate content compared to their light alternatives. This one is usually my first choice at the bar or a restaurant. With just 3.2 grams of carbs and 95 calories, you’d think this beer skimps on the flavor but it certainly doesn’t. If you like a full bodied low carb beer, Michelob Ultra Amber won’t disappoint. It’s a great beer to drink alongside seafood & steak dishes making it a perfect low carb option at sit-down restaurants. Michelob Ultra Amber is probably the very best low carb beer that’s available almost anywhere. Regular Mechelob Ultra: this is definitely my second choice if the amber version isn’t available or I’m looking for a beer to have along with dinner. It won’t overpower the taste of your food and pairs up nicely with most bar fare. Michelob Ultra won’t leave you feeling bloated or sluggish and sports just 2.6 grams of carbs & 95 calories. 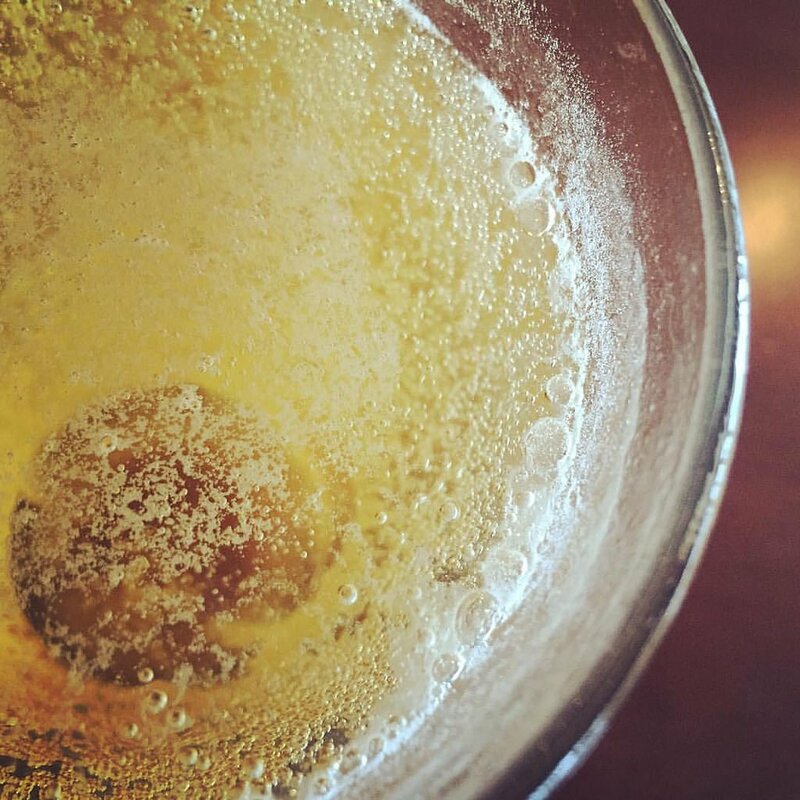 As a low carb beer, you might not even realize you’re drinking such a light beverage. Hearkening back to my college days for sure on this one! While it was mostly because the beer was inexpensive, with just 3 grams of carbs and 95 calories, Natural Light leaves room for you to enjoy a few of these at a time. While it’s missing quite a bit in the flavor department, that’s not a bad thing if you’re looking for a beer that can pair well with any type of food. Natural Light is one of the best low carb beers because it’ll help keep your waistline thin and your wallet fat! The Miller brewing company definitely needs no introduction to the beer world. Their Miller Lite has only 96 calories and 3 grams of carbs. While not quite as low as some other low carb beers on the list, you can be assured you’ll find Miller Lite just about anywhere. Miller Lite is kind of a middle-of-the road beer when it comes to flavor. It’s not as full-bodied as Michelob Ultra Amber but it still has enough flavor that you know you’re drinking a real beer. Among low carb beers, Miller Lite is definitely one of my top choices. It goes with just about any food – especially the not-so-low carb foods like pizza and wings. That being said it can also be a ‘salad beer’ and work with lots of healthy food choices. If you’re looking for the lowest of carbs and lowest of calories, you can’t beat Budweiser Select 55. With just a tiny 1.8 grams of carbs and skimpy 55 calories, you’ll have room in the tank for a handful of these. It might not be the fullest of tasting beers, but it lands on the list because of it’s super light stats. 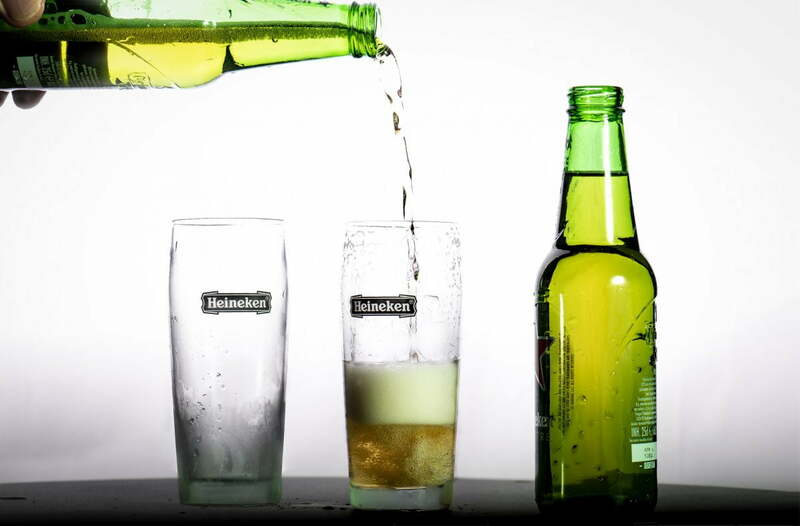 It’s the only beer made by Budweiser that comes in under 100 calories. Better yet, it’s the only beer on this list under 2 grams of carbs per bottle. From a pure numbers standpoint, Budweiser Select 55 is the absolute best low carb beer you can get, but those low numbers come at a cost: it just doesn’t have a full-bodied flavor that will make an impression. Still, if the numbers are what you want, you can’t beat it. Sometimes it’s nice to have a beer with a distinct flavor, and Corona always makes the mark. Equally at home or on the beach, Corona Premier contains just 90 calories and 2.6 grams of carbs. Corona Premier tastes like summer. And it’s nice to know that when the hot summer months come into town, you can enjoy a beer that won’t destroy all that hard work you did over the winter to get that summer body looking just right. As one of the best low carb beers around, Corona Premier will let you enjoy life without looking like you’re constantly paying attention to what you eat & drink. Sitting a little heavier than other beers on this list, Heineken Light still deserves a mention due to it’s full flavor and signature taste. Heineken Light comes in at 99 calories and 7 grams of carbs which means you probably won’t want to toss back more than a couple of these, but the flavor is well worth it. Heineken is another one of those beers that goes will at a sit-down restaurant, even some of the nicer ones, without feeling out of place. It’s full-flavor compliments gourmet food in a way that other low carb beers simply can’t. If you prefer lager over a typical beer, you can’t go wrong with Amstel Light Pale Lager. It’s a great lager flavor while being light on calories and carbs. This lager is just 95 calories and 5 grams of carbs. It’s not the lowest of low carb beers, but there’s definitely room in most diets for it. Amstel Light Pale Lager is another one of those beers that goes really well with sit-down restaurants and good quality food. It’s not a fast-food beer that’s for sure. This beer has some class. Another competitor among lagers, Anheuser Busch doesn’t miss a beat with this one. It has a slightly lighter flavor than the Amstel, but most drinkers won’t even notice. Busch Light Pale Lager has only 95 calories and 3.2 grams of carbs putting it in league with some of the lightest beers on the list, and the lightest of the lagers. As far as low carb beers are concerned, Busch Light Pale Lager stands on its own with a slightly lighter flavor than Amstel’s version, making it a great beer to enjoy with bar fare. This is one beer that I’m actually not a fan of. It’s on the list though because a lot of my friends enjoy it, so maybe it’s just me who doesn’t like it. Personally, I think it tastes a bit thin even among light beers. 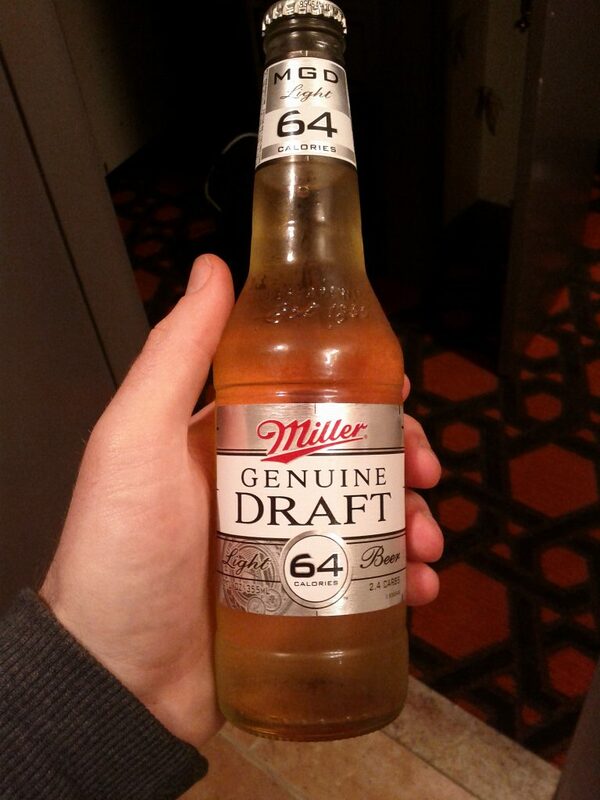 Miller 64 is aptly named for it’s paltry 64 calories. It only adds 2.4 grams of carbs to your diet for each serving. It’s one of the lowest calorie beers on the list so if calories are your primary concern, this is the beer for you. In addition to being low in calories, Miller 64 is one of the lightest colored beers out there (even lighter than Coors Light). In fact, if you pour it out of the bottle, you might wonder if it’s even beer at all! The days of knocking back a 12-pack are over if you want to take your health seriously but going low carb or keto doesn’t mean you have to give up beer entirely. There are literally dozens of low carb beer options out there to satisfy just about any taste. Drink up!